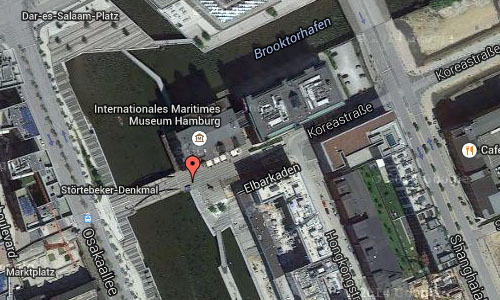 The Internationales Maritimes Museum Hamburg (International Maritime Museum) is a private museum in the HafenCity quarter of Hamburg, Germany. 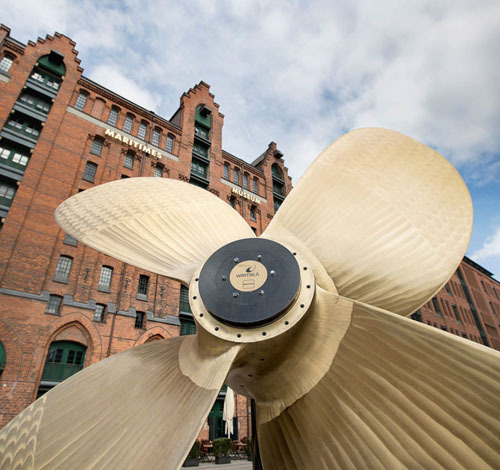 The museum houses Peter Tamm’s collection of model ships, construction plans, uniforms, and maritime art, amounting to over 40,000 items and more than one million photographs. It opened in a former warehouse in 2008. The private collection was started in 1934 by Peter Tamm—former chairman of the board of the Axel Springer AG—when Tamm was six years old. 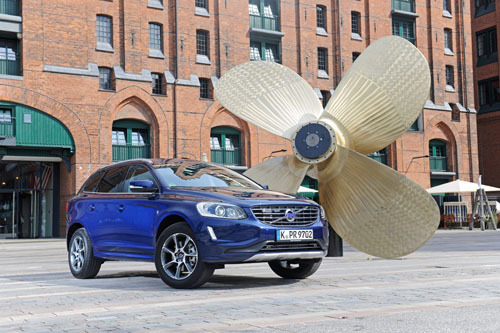 As Tamm retold the history, the initial event was when his mother presented him his first model ship. 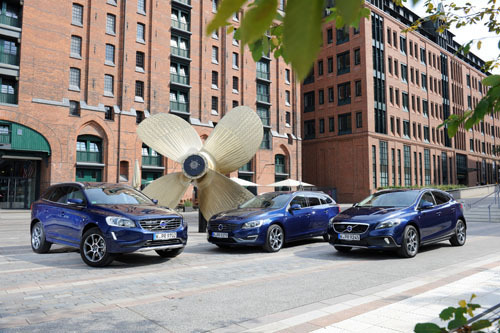 Prior to the opening in the HafenCity, the collection was called “Wissenschaftliches Institut für Schifffahrts- und Marinegeschichte” (Academic Institute of Shipping and Naval History) and located in a mansion at the Elbchaussee street and only open by appointment. 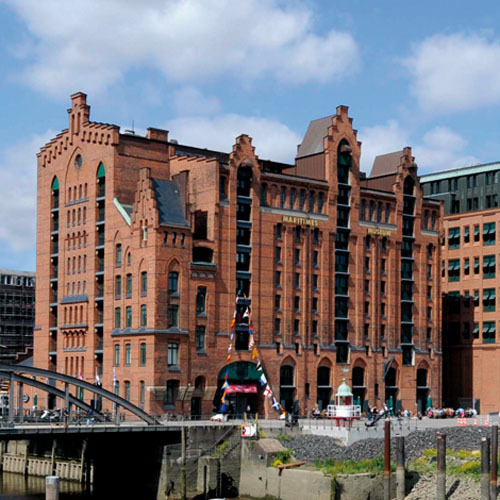 The Kaispeicher B (quay warehouse B) is the oldest preserved warehouse in Hamburg, built in 1878 and 1879 by the architects Bernhard Georg Jacob Hanssen and Wilhelm Emil Meerwein. It was built with a supporting structure of wood and steel columns, the outer walls of bricks also supporting the building. It was designed in neo-Gothic style. Constructed and used as a combination of a grain elevator and for ground storage for packaged goods. 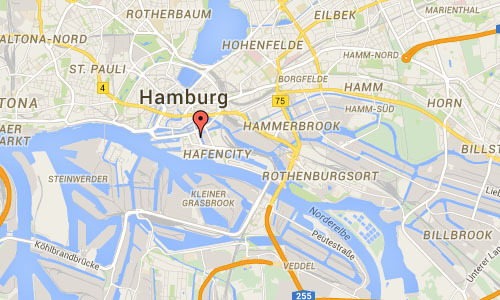 In 1890 the city of Hamburg bought the warehouse, which has been called Kaispeicher B ever since. In 2000 it was listed as a cultural heritage building but used as a warehouse for goods until the end of 2003. In 2008 the museum was opened after a period of renovation. Mirjana Marcovic (MRLV Architekten) planned the renovations and received an award from the Architekten- und Ingenieurverein Hamburg. The bridge crossing the Brocktorhafen—a steel construction of 80 t (79 long tons; 88 short tons) in the shape of a boomerang with a length of 60 m —by architect Dietmar Feichtinger (Paris) and WTM Engineers (Hamburg) also received an award in 2008. 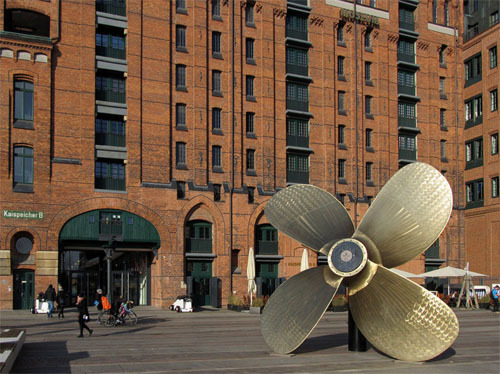 The museum is located in the Speicherstadt (warehouse district) in the port of Hamburg. More information on www.internationales-maritimes-museum.de, www.hamburg-travel.com, www.hamburg.de and en.wikipedia.org.